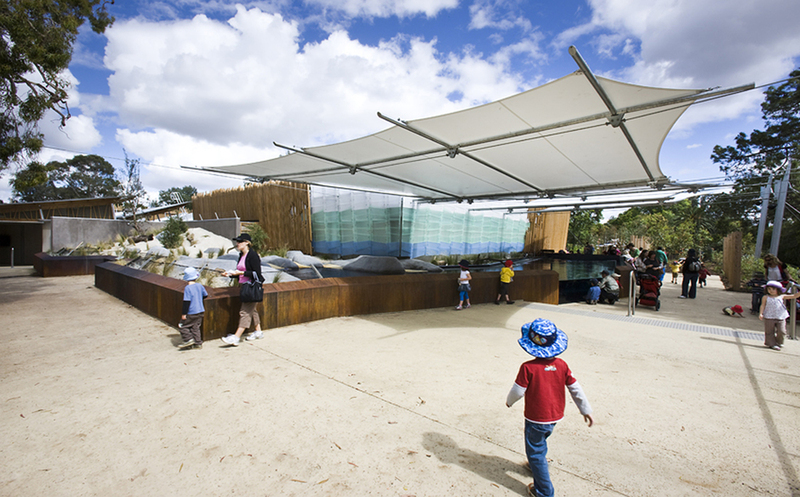 Emblematic Troppo projects include cultural and visitor centres that interpret Place, telling stories of the Land and its People, serving to inform and orient visitors – but also, through the building process, creating a means for bringing communities together through the interpretive design and construction/ fitout process. These projects are a strand of broader tourism-related projects that also include resorts, retreats, bush camps, little bed & breakfasts and multi-storey hotels. Always these projects seek a strong environmental connection with their particular site and its natural setting and or internal foci. Always, the fitout detail seeks to reflect the colours, feel and stories of Place. These projects are often enhanced by our long experience in restaurants, bars, cafes – and, most recently, small urban pop-ups. At the operational end in these projects, green servicing strategies can quickly achieve cost-savings in-use. Since the 1990s we have worked in conservation and nature parks, and even zoos, in designing infrastructure and visitor facilities, often working with scientists and specialist consultants. But this work need not be prosaic: there are always interpretive design opportunities. ...Which takes us to projects and public and even commercial. Here, too, we seek opportunities beyond the prosaic for here too, there are opportunities to connect with Place and to marvel at the day-that-is – and for clothing experience with a sense of fun.